Home / News / Christmas is just around the corner! It’s official, summer is here! With long, sunny days spent watching Wimbledon and World Cup highlights with a Pimms (or lager if that’s your tipple) and laid-back, balmy nights around a BBQ it’s hard to imagine how we held up all winter. But we’ve got news for you… Despite the still soaring temperatures, Christmas is just around the corner. And boy, are we excited! There’s no shortage of delightful festive venues in this fairy light drenched city. Whether you’re into a weird and wonderful theme, a traditional ballroom, or a more relaxed bar, there’s something for every group. 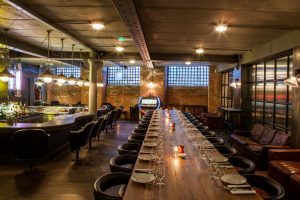 Casual and cool, this venue is a jewel in Southbanks crown and it perfect for those who want to celebrate in style, without being overly festive. Opt for dinner in the main restaurant or a drinks reception in Marks basement bar. Ideal for up to 100 guests. Venues don’t get more traditional than this! 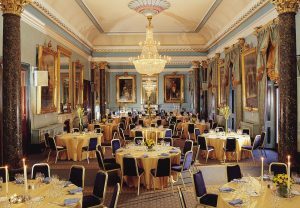 Ornately decorated with one of the most beautiful staircases in London, 116 Pall Mall is a ready made Christmas venue, with a number of varying rooms suitable for up to 250 guests. If you’re looking for something a little different this Christmas, look no further. This raw subterranean venue is a real blank canvas and can be easily decorated to add your own touch. 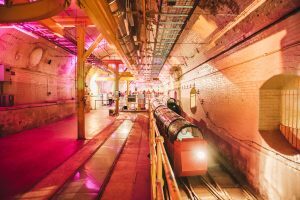 Incorporate an experiential rid on the Mail Rail to really wow your guests. 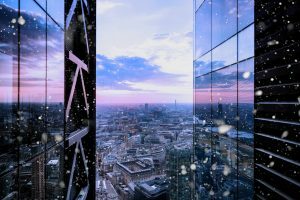 Situated on the 42nd floor of the Leadenhall Building, this venue has brilliant panoramic views over London, which during December is lit up like a Christmas tree. Perfect for up to 300 guests, as long as they’re not scared of heights. You may have heard of Old Billingsgate Market, but did you know there’s a vaulted venue below? 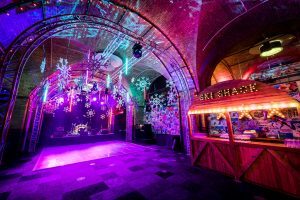 The Vaults is a great venue for groups who want to really party their way through Christmas, boasting a brilliant sunken dancefloor. Although key dates are getting booked fast there is still plenty of availability, you’ve just got to know where to look. So if you’re yet to book your staff Christmas party get in touch and we’ll help find your ideal venue.